Phoenix is one of those cities where you can garden all year long. There are amazing plants and vegetables that thrive in the cool winter months, and others that can survive the brutal summer months. If you have a green thumb and live here in Arizona, you may want to consider some of these tips to help you manage your garden. Between the extreme temperatures, and the aggressive desert insects, your garden will have a hard enough time surviving the elements as it is, so here are some additional gardening tips to help keep those pesky insects out of your yard, and your plants and produce thriving all season long. If growing your own produce isn’t something you are interested in doing, you should consider alternative ways to purchase either local produce, or try companies like Produce on Wheels and and take advantage of great savings while preventing large scale food waste. There are plenty of ways to control garden invaders, there are pesticides, and there are more organic alternatives that can be used that are safer for children, pets, and the environment. Every pest is a little different and will require different treatment options depending on the species. There are a few common ways to apply an “umbrella treatment” that can cover multiple varieties of insects at once. For those of you that are overwhelmed by the thought of managing the pest control efforts on your own, you should consider hiring a pest control company that offers green and organic solutions like Green Home Pest Control in Phoenix. One of the most natural and visually stimulating ways to do this is by planting garden varieties that naturally repel insects. These pest-repelling plants emit natural scents that repel insects from entering the area. The good thing is, these plants repel pests while attracting the good bugs that your garden needs for pollination and insect control. There are insects that feed on other insects, having them around to feed on the bad ones is a cost-free way to control the insect population in your garden. A great way to learn more about maintaining a healthy garden and keeping it free of plant destroying insects is to visit some of the best local farmers markets in Arizona and talk with the growers about their own experiences growing and harvesting foods in this desert climate. Another great resource I would like to share before proceeding is the Farm at South Mountain. This local attraction has an onsite cafe with amazing food, set on a beautiful landscape of trees and gardens. There are local evens here every month and you can check the events calendar to lear more about it and what they have to offer. Currently there is a soil and seed growers market every Saturday that would be a great place for anyone thinking about growing fruits or vegetables to attend. I have personally eaten at Quiessence and the experience was amazing! My husband and I have also attended multiple events here including wine tastings and cooking classes. This is definitely an experience worth trying out if you live near Phoenix. Catnip can be planted to prevent insects like aphids, beetles, caterpillars, and shield bugs. Your cat may be drawn to it also, which may help play a role in rodent control if there are in mice trolling your garden for a snack. Dill can also be planted to prevents aphids, caterpillars, shield bugs, and spider mites. You can use dill as a picketing spice, and to make a fresh batch of taziki. Mint can also be planted to prevent aphids, beetles, caterpillars, shield bugs, and whiteflies. Fresh mint smells and tastes amazing, you can use fresh mint in salads and side dishes. Nasturtium can also prevent aphids, beetles, caterpillars, and shield bugs. Nasturtium is a flower that blossoms into beautiful orange and red colors. Using plants to attract natural predators is a great way to call in the cavalry in a very natural and organic way. 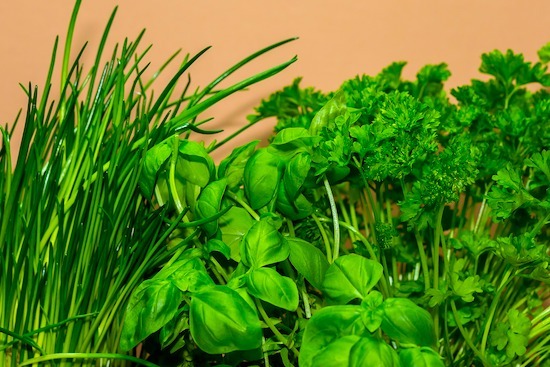 Adding these plants to your garden are beneficial for pest control, plus there is the added value that some of these are consumable herbs so you can get twice the bang for your buck. Ladybugs are infamous for feeding aphids in the garden. Did you know that Lady Bug larva also feasts on these soft-bodied pests? 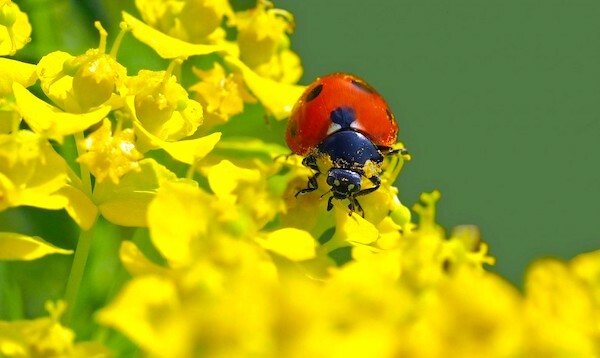 If you see a ladybug in the garden, it’s a sign that nature is handling your pest control problems. Just like ladybugs, lacewings and their larva feast on soft-bodied treats in the garden that pose a problem to the health of your plants. Insects like aphids, thrips, caterpillars, eggs, whiteflies, scales, and leafhoppers are all part of the Lacewing diet. This is a true testament to natural pest control solutions that nature provides. You have probably seen hoverflies in your garden, and maybe even in your home. These bugs resemble small bees, they also pollinate your plant life and keep your garden healthy and pest free. The larva of Hoverflies feeds on the soft bodies souls of aphids. Wasps can be very active in gardens, they pollinate, and they have been known to prey on smaller insects. The parasitic wasps are very small, and chances are you don’t ever see them in your garden. That being said, they are also predators that prey on leaf-eating caterpillars and the ever annoying aphid. Caterpillars and the Beatles can pose a major threat to the health of your garden, knowing which insects are in your garden will help you identify which might be useful for pest control. Did you know there are predatory bugs that feast on insects like caterpillars and Beatles? Bugs like pirate bugs, assassin bugs, and soldier bugs have been known to attack caterpillars and Beatles. Having these insects in your garden is a great way to keep your leads from being eaten up by unwanted pests. When you see a spider, chances are one of your initial instincts is to crush it. But int he gardens, spiders can be very handy for eliminating pests. You have seen the webs, you have seen the insects rolled up in them, that is natural pest control at it’s finest. Spiders can be scary, wolf spiders, and black widow spiders are poisonous and can be dangerous if you get bitten by one. Obviously, these are spiders you don’t want in your yard. The “daddy long-leg” variations however that are not poisonous should be welcome regardless of how you feel about spiders. With all this knowledge now of “good bugs,” you might be wondering how you can attract these bugs into your garden to aid you in managing your pest problems. There are plenty of websites out there that allow you to order ladybugs online and other garden predators. Ideally, you can reel them in naturally, and this is usually a better long-term solution that will keep them around for longer. Sometimes imported insects will wander off to other yards, or even die off if the environment doesn’t suit them. Natural predators that live in your state are more ideal because they are acclimated the climate. Attracting these insects to defend your garden for you isn’t always easy. There are going to be variables in nature that may push them away, or draw them in depending on the area you live in. The best way to draw them in is to grow and plant herbs and flowers that attract them. There are plants that are known to attract these bugs naturally, so planting seeds or starter plants is a great way to take advantage of that. Cosmos flowers attract predatory pollinators and are a great companion plant in the garden. 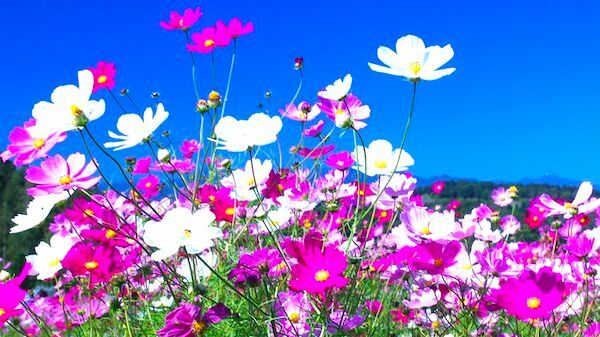 The flowers can add a nice touch of color, while it’s benefits for pest control include attracting the insect calvary. Borage in the Garden provides many benefits for pest control and the overall health of the garden. Borage is known to repel pests like hornworms, while also attracting the pest-eating insects you want in your garden. There are additional benefits that Borage provides to other plants in the garden. When co-planted with other plants it can help to increase the neighboring plant’s resistance to plant-eating pests and disease. Borage can co-inhabit garden soils with other fruit-bearing plants like tomatoes, strawberries, and squash. Borage has been known to add trace minerals into the soil, literally returning vital minerals back into the soil. The plant is an annual, but it self-seeds and thrives well in Arizona. Cilne of my favorite herbs, and one that grows well here in Arizona. Cilantro is used to flavor many foods here in the Southwest, most notably salsas. Fresh garden salsa with cilantro is a fresh condiment that goes well with just about anything. So how does it hold up in the garden with pests? Well, it’s an excellent source for attracting the predatory insects needed to combat the bad ones. Cilantro is also great for companion planting. I use dill mostly as a flavoring agent in my pickling concoctions. But in the garden dill can be used to repel unwanted pests. This herb naturally attracts predatory wasps and hoverflies. It also attracts various species of caterpillars for feeding. In summary, the plant is attracting the food and the prey to the same location, making it ideal for pest control in the garden. Planting this herb away from your garden will draw those insects away from your crops and lure them directly into danger. The herb also repels spider mites and aphids. There are studies that indicate Marigold plants produce a toxic chemical that kills off root know nematodes in addition to other harmful nematodes that eat up roots like candy. 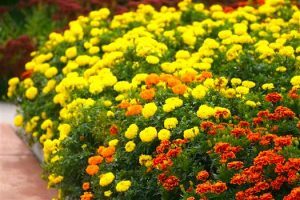 The French variation of Marigolds is considered to be the most effective for pest control. Many gardeners will till the Marigold into the soil prior to planting the next season of crops. Mint is a great natural insect deterrent. It’s non-toxic, economical, and extremely effective. Mint is especially effective for repelling mosquitos, flies, and ants. Mint has a very pleasant scent and thrives well in gardens. It grows like a weed, so be cautious about planting the herb loose in the garden. You may want to use a planter so that it doesn’t take over the garden. You can find rosemary planted and thriving all around Arizona. Rosemary grows well in warm weather and comes with a very fragrant scent. Rosemary is a great addition to any savory dish, but in the garden in can be used as a natural insect repellent. Rosemary repels flies, mosquitos and other garden pests. You can plant rosemary in the dirt or in planters around the yard. It’s a pretty sturdy plant that can survive well in most environments. Like rosemary, thyme is great for flavoring savory dishes. Often used to season poultry and red meats, this herb is solid in most dishes. Thyme is another herb that attracts the good guys, and its pungent odor is naturally offensive to other smaller insects. Thyme can be a little more sensitive if not planted in the right conditions. It’s important to make sure that the soil drains well to avoid root rot and make sure there is plenty of circulation in the garden where the herb is planted. There are other ways of dealing with these garden monsters, something as simple as hanging fly tape with an adhesive landing strip is good for catching many insects. The problem is that you will catch just as many good insects as bad. Replacing these strips every few days will also be necessary. With all the organic solutions available, there may be times that you will want to rely on professional pest control services to eradicate your pest problem. Organic solutions are always my first option, and I typically do my best to tackle the task myself, however, if infestations worsen, I will swallow my pride and have the yard and garden treated properly. Sometimes it’s just worth the few extra bucks to hire a professional to get the job done.